Wellness Just Got a Whole Lot Easier – and Customizable! We live in a world of customization – why should your wellness program be any different? When it comes to maintaining a healthy lifestyle – we can use all the help we can get, right? Having a ready supply of wellness resources at our disposal can make the difference between meeting our fitness goals and simply never getting started in the first place. That’s the idea behind our Wellworks Wellness Portal – a fully customizable, interactive, corporate website designed to provide you and your employees with all the tools you need to achieve total wellness. Our Wellness Portal is a perfect pairing of wellness and technology. Think of it as an online “hub” where you can track your wellness program progress and have access to unlimited health and wellness resources. Fully Customizable: Our Wellness Portal is designed to blend seamlessly with your company’s corporate culture. Featuring your own logo, color scheme, and branding, our fully customizable portal will soon become an indispensable part of your wellness program. 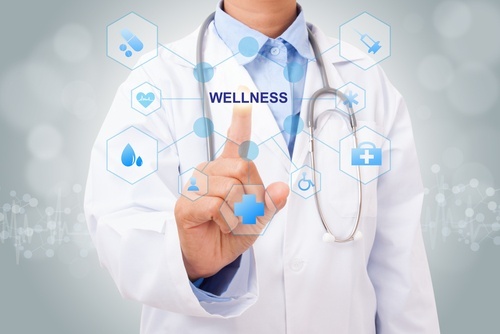 Stay Up-to-Date: Between Lunch & Learns, biometric screenings, wellness challenges, and other important components, participating in a wellness program includes a lot of organization. A comprehensive wellness resource like our Wellness Portal allows you to keep track of classes and appointments, as well as tracking your personal fitness info, all in one place. “Coach’s Corner” for Health Coaching: No matter what your wellness goal is – losing weight, quitting smoking, or training for your first 5K – reaching it is easier with a coach in your corner. Our Wellness Portal’s “Coach’s Corner” dashboard makes working with a personal Health Coach easier than ever. Schedule appointments, log progress, keep in touch between coaching sessions, and reach your goals! Learning Series: Education is key to making lasting lifestyle changes, which is why the Wellworks For You Wellness Portal features interactive Learning Series webinars and quizzes. Test and increase your knowledge on important topics such as Diabetes, Nutrition, and Stress Management. Meal Planning: Tired of answering the question, “What’s for dinner?” Our Work Week Meal Plan feature provides you with recipes for breakfast, lunch, dinner, dessert and snack, as well as a weekly grocery list that makes planning, shopping, and cooking easier than ever. On-the-Go: The only thing that could make all of these wellness resources even better would be if they were at your disposal 24/7, no matter where you are, right? Well, you’re in luck: the Wellworks For You Wellness Portal app allows you to access grocery lists, pedometer tracking, and all of your favorite Portal features on-the-go. The Portal is also designed to sync with your Fitbit, Apple Watch, and other devices, to automatically update your health data. Ready to add a customized Wellness Portal to your workplace wellness program? Give us a call today, and let’s get started!